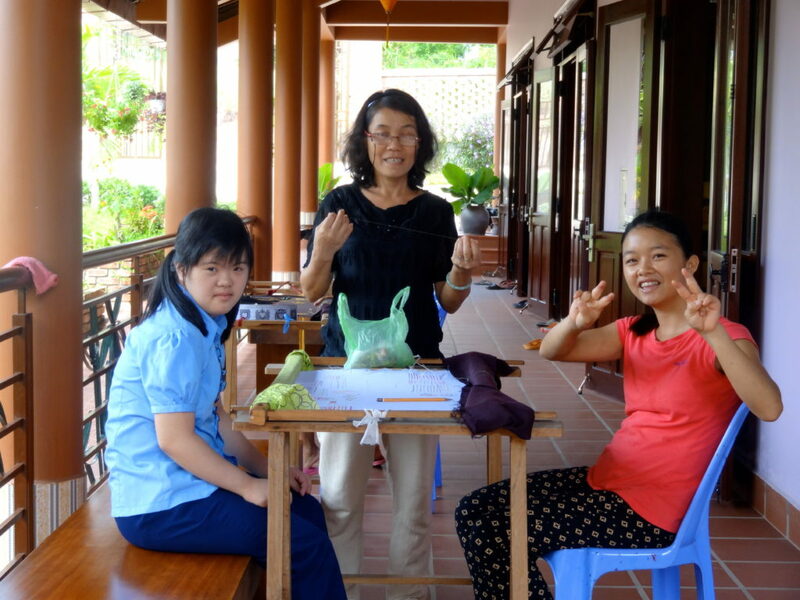 In 2009, Eurasia created the Peaceful Bamboo Family (Tinh Truc Gia), in Hue, Vietnam, a vocational training centre and living community for young adults living with disabilities. The community is based on humanistic values offering a healthy environment that facilitates the wellbeing of each member. 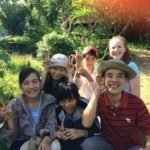 TTG embodies an ecological lifestyle and develops biodynamic agriculture, it aims to be a practical training centre for social therapy and biodynamic gardening. 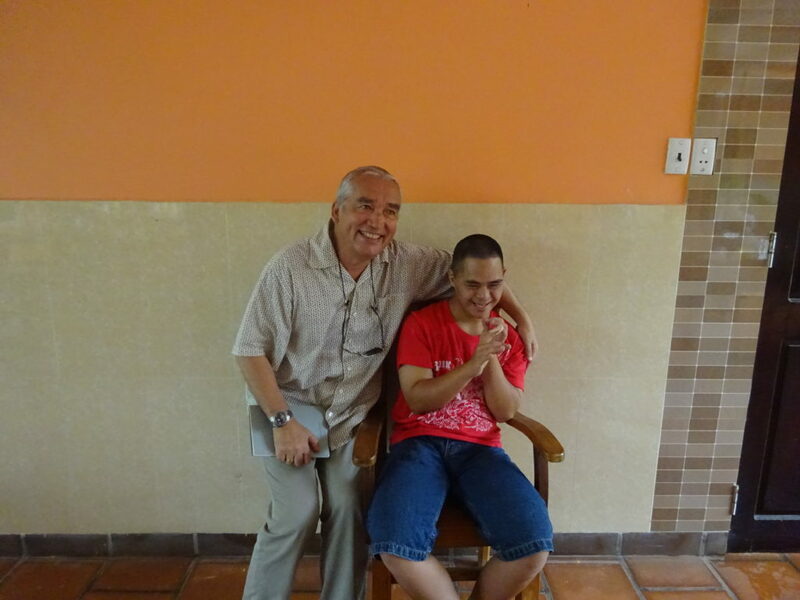 Community life is central to the integration of the person living with disabilities. 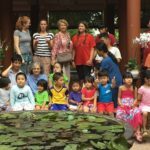 TTG provides a rich social and cultural life, and welcomes more and more visitors and volunteers each year. 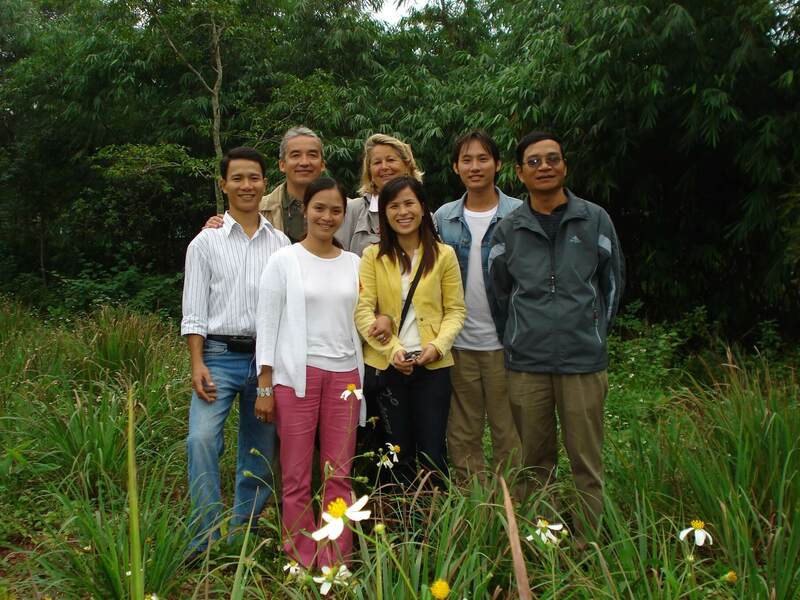 In 2012 Tinh Truc Gia joined the international Camphill network. 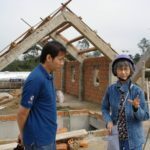 The Center offers each resident a vocational training, enabling them to be integrated in professional life and to become as autonomous as possible. Various vocational training workshops enable the youngsters to learn a profession and promote income generating activities. 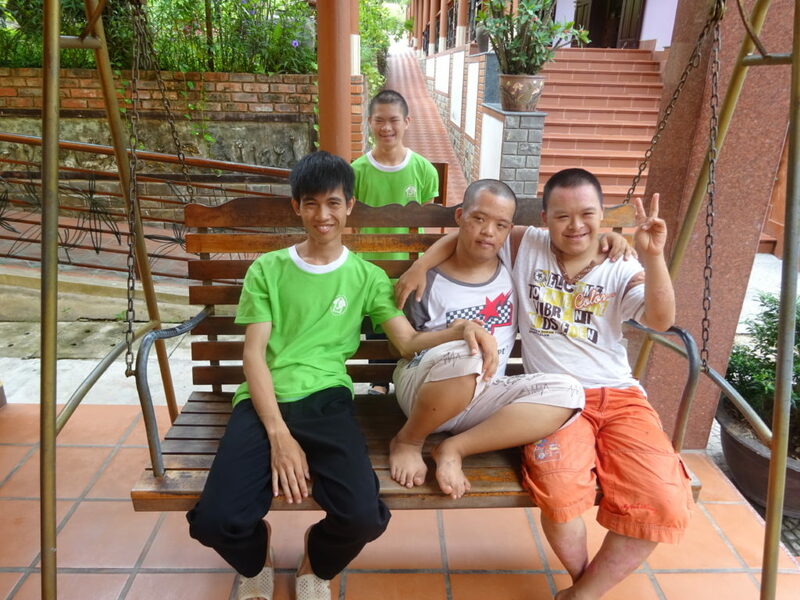 When we created the Peaceful Bamboo Family community in Hue, Central Vietnam, our fundamental intention was not focused on caring for young people with intellectual disability, but rather on creating a conducive environment that would allow these young people to unfold their full potential in a way that would enable them to make a positive contribution to society. And these contributions have been manifold. 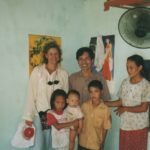 When we started our community, it was not yet possible for NGOs in Vietnam to buy land and to run a privately owned Centre. 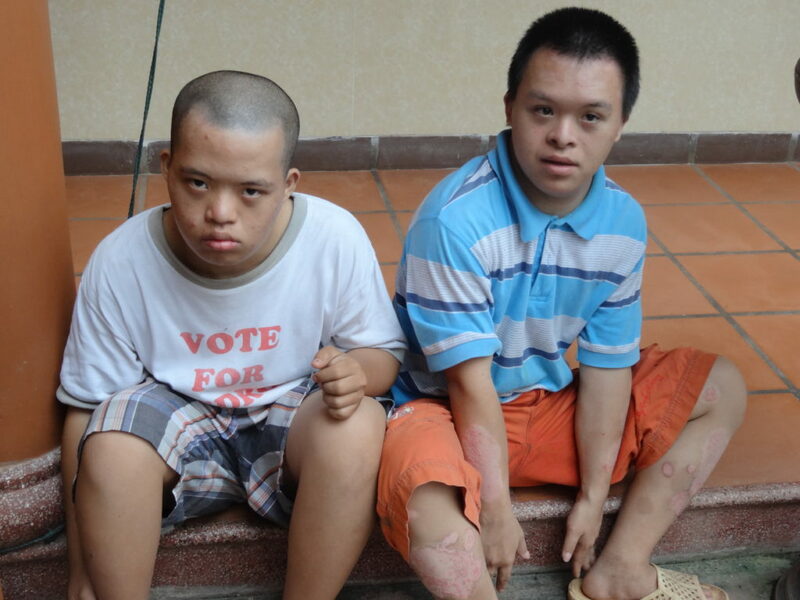 Due to the many years of work in the field of special education, the local government had confidence in our Foundation and granted us an exception so that we could create the first private and free centre entirely based on our values and principles inspired by the Camphill Movement and later by the GNH framework. 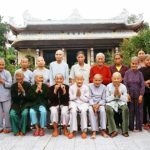 In Vietnam, as in many developing countries the so-called modernization of agriculture has created a lot of damage to the environment and even to the health of the population due to the misuse of pesticides and fertilizers. Especially among young parents, there is a growing concern of the negative effect of harmful food on the health of their children. 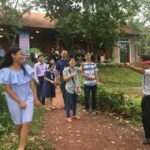 Our community started the first biodynamic organic horticulture garden in Vietnam, which became rapidly a pilot project where students of the local agricultural college could come to learn about a different way to take care of the earth and produce healthy food. 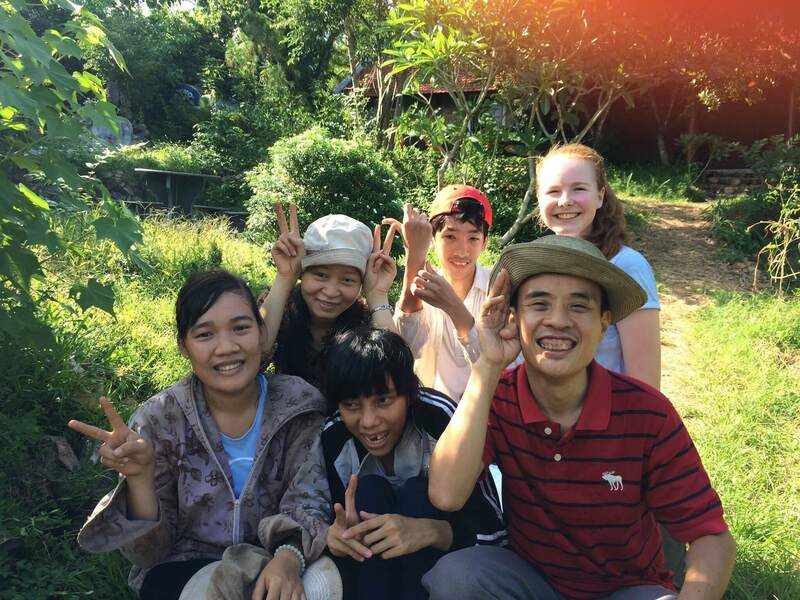 School classes also come to our garden to learn about ecology, gardening and they work alongside people living with disabilities, thus appreciating how people with special needs not only contribute to society, but can even be their teachers in a specific area. Our own community eats mainly our own organic, locally grown vegetables. As a community, we are trying to reduce as much as possible our ecological footprint; we have solar panels for warm water and electricity, our own water source and the means to collect rainwater. 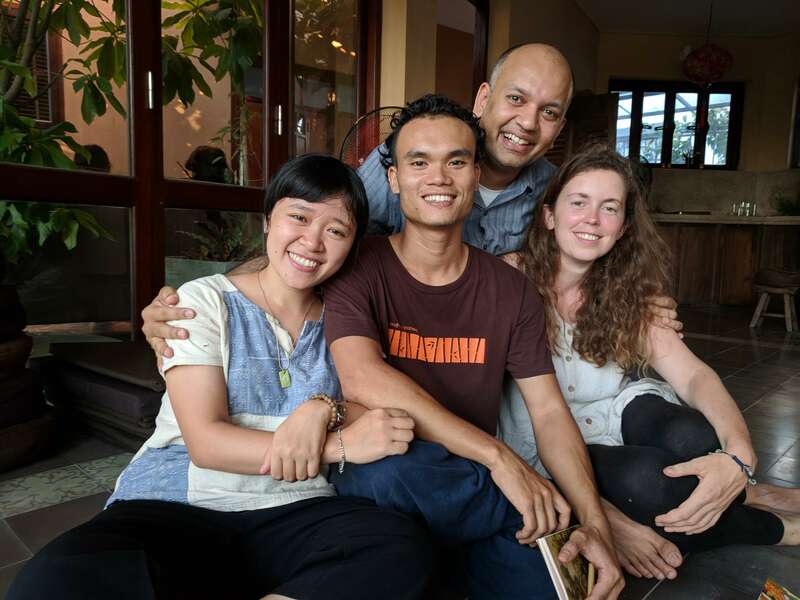 Our next project is to become a zero waste community and to recycle human waste into compost and biogas. Our aim is to become economically and financially sustainable and to generate enough income to gradually become autonomous. 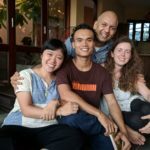 Our community is also a vocational training centre and the young people who have graduated and want to remain in the community are hired as co-workers. Our current focus is to develop social entrepreneurship in partnership with other like-minded companies. 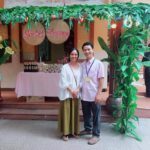 We process tropical fruits from our garden into delicious jam, juice and ice cream, we have a bakery and produce several types of cookies, and we sell these products through a partnership with an online health food store from Saigon. 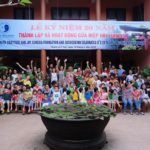 Our lacquer-ware workshop combines traditional techniques with spontaneous creativity allowing the young people to express themselves freely while learning age-old Vietnamese handicrafts. We organize exhibitions and auctions to sell the paintings, and it is very moving to experience how proud the youngsters can be when they realize that people actually appreciate their creations and are willing to buy them. We also have an incense workshop producing high quality incense made of natural organic medicinal plants according to an ancient recipe. We have opened a teahouse in our front-yard with a beautiful flower and rock garden; this gives us the opportunity to sell some of the products of the workshops and the garden, including our own organic green tea. Likewise, it is also an opportunity for the youngsters to learn the skills of service industry, and to practice useful abilities such as counting, reading and writing, speaking in an appropriate way with strangers. 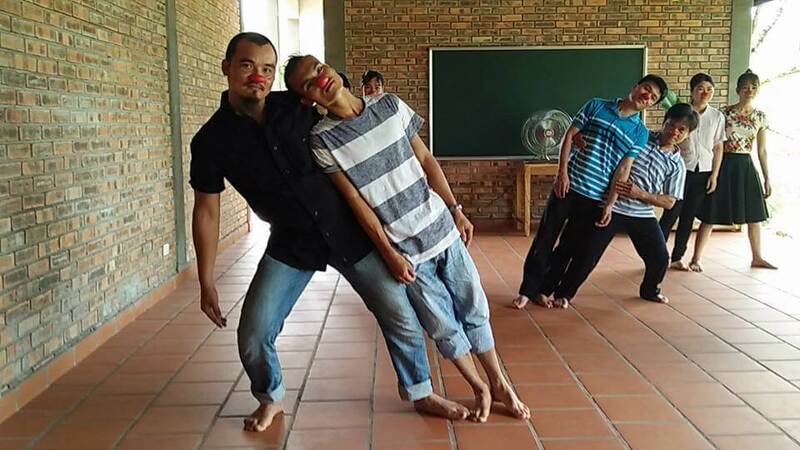 All these projects have a dual purpose, creating situations where young people living with an intellectual disability can learn useful skills and train for a job, thus contributing to society, and also generating income for the centre. 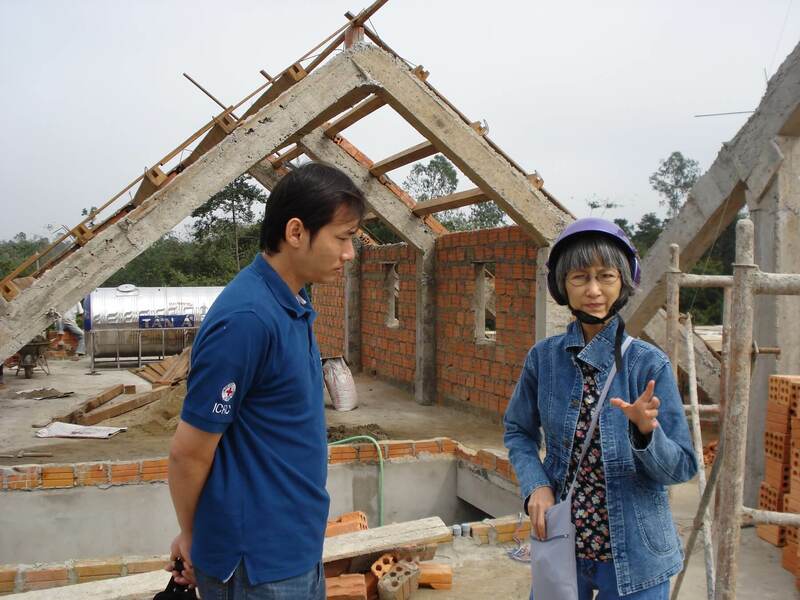 This year, the centre was able to generate over 50% of its running costs through these activities. But of course such a centre will always need some financial support to be able to develop further and flourish. 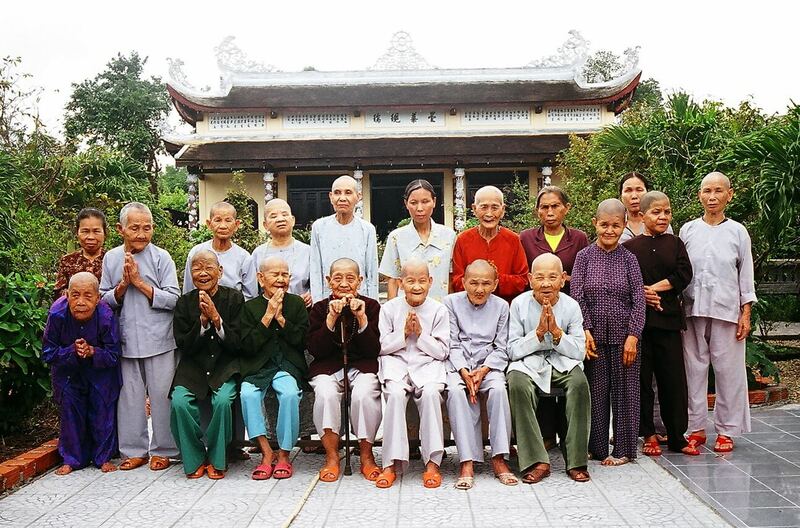 When we started the Peaceful Bamboo Family, we were inspired by the ideals of the Camphill Movement, but we wanted to create a community that was completely embedded in the Vietnamese context. We did not want to import foreign values and cultural practices in a country that has suffered too much and for too long from destructive foreign influence, whether from French colonialism or American imperialism. 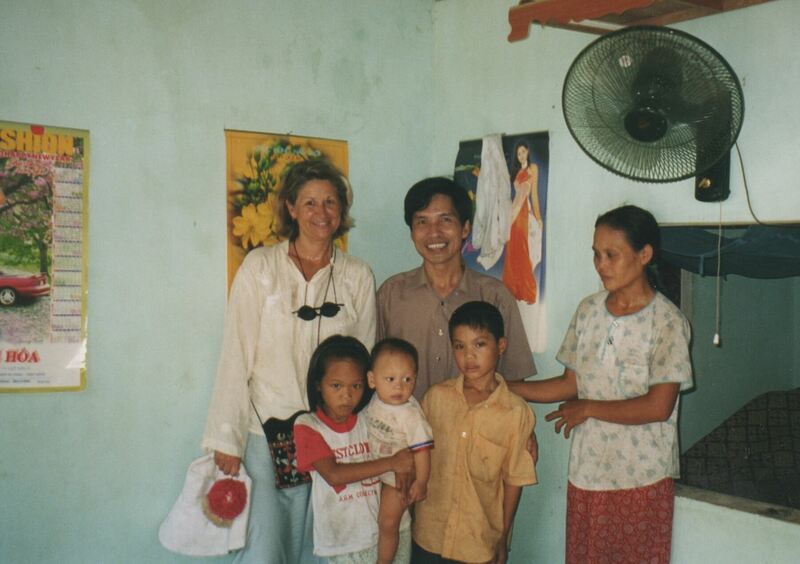 At the same time, we knew from our experience in the Camphill community of Perceval the importance of spiritual and cultural practices to structure the life and cycles of time of a community. 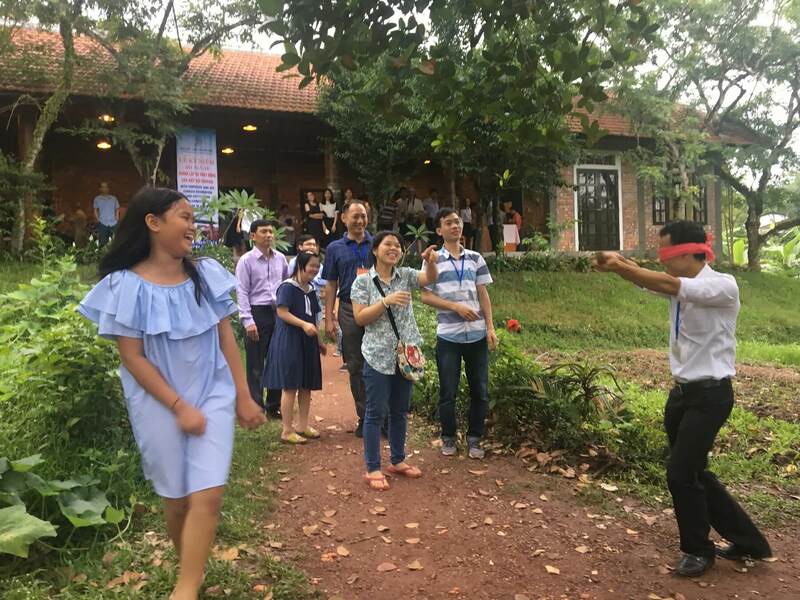 So our challenge was to find the essence of the practices that we had experienced in a Western, largely Christian context located in a temperate climate zone, and to recreate comparable forms and rituals born out the Vietnamese, largely Buddhist and Confucian, tropical context. I explicitly mention the climate zone because most religious festivals are related to the season: Christmas near the Winter Solstice, Easter at the Spring Equinox, St John at the Summer Solstice and Michaelmas at the Autumn Equinox. 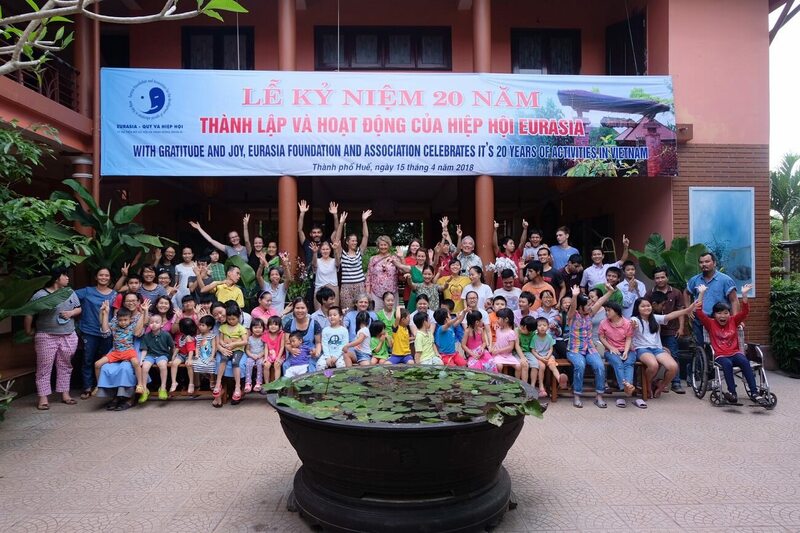 So we structured our yearly cycle around traditional Vietnamese and Buddhist festivals that are connected to the moon cycle rather than the sun cycle; including ancestor and Earth-spirit worshiping ceremonies which are held on New and Full Moon. 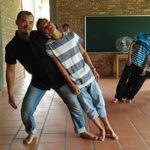 Likewise, we organized the weekly rhythm with a day of Mindfulness and an evening called ‘Sharing from the Heart’ where each member of the community has an opportunity to share how they feel, what makes them happy or worries them and heard in an atmosphere of respect and non-judgemental listening. 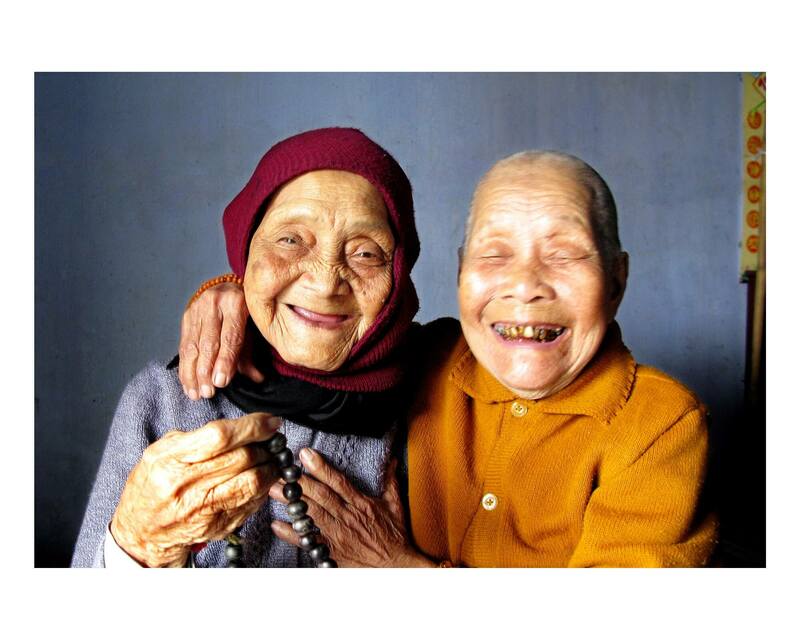 We also hold regular seminars and workshops for both co-workers and youngsters in a spirit of lifelong learning for all, and we have created the ‘Eurasia Learning Institute for Happiness and Wellbeing’ (ELI) to share our experience well beyond our limited field. 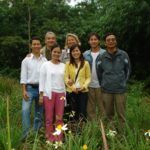 As an example, we have started a training programme for forty university professors from Saigon who want to implement a ‘Mindfulness Based Compassion and Happiness programme’ with their students. 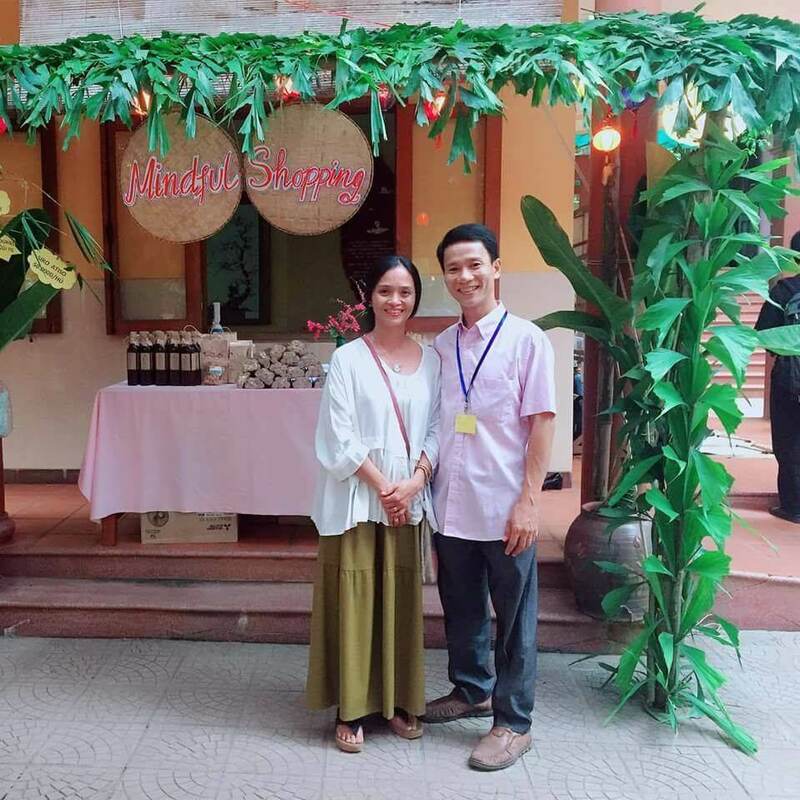 We are also working with the Education Department of Hue province and have implemented a mindfulness and compassion educational programme: “A call to Care” in primary schools in Hue. 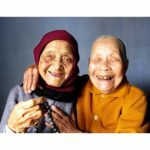 These are just some of the many examples of the way we have consciously included the spiritual and cultural dimensions in the community life and how it can spread beyond our community. Of course our community has a leadership structure that is responsible and accountable, but our effort is to create a participatory leadership-style that includes everyone, long-term co-workers, volunteers, and the residents alike and we regularly hold seminars to redefine and co-create a common vision and mission that is shared by all. When new projects emerge, the whole community is consulted so that they can voice their ideas or doubts. For instance, in the recent past, we have created an inclusive kindergarten, a sector for young teenagers with behavioural challenges and we are designing an ambitious zero waste programme. All these projects were discussed and designed with the entire community at many open meetings. 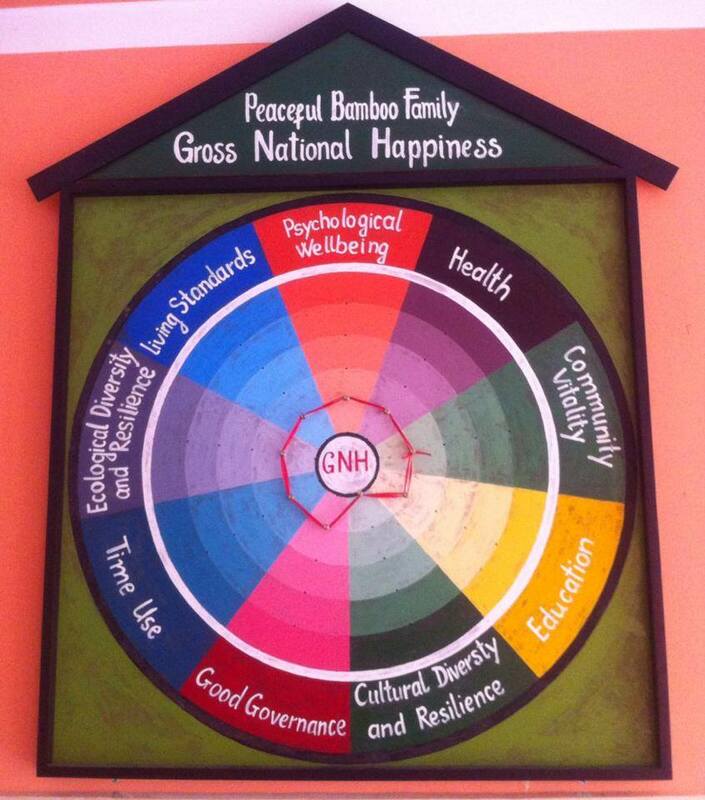 Beyond the Four Pillars, we have also used the nine domains of GNH as an assessment tool to pilot and improve the functioning of our community.